Delivered over 5 days, our First Aid, CPR and AED course is tailored to meet the needs of anyone wanting to become a first aid instructor. The course combines the practical and theoretical training with specific focus on the effective delivery of first aid training. 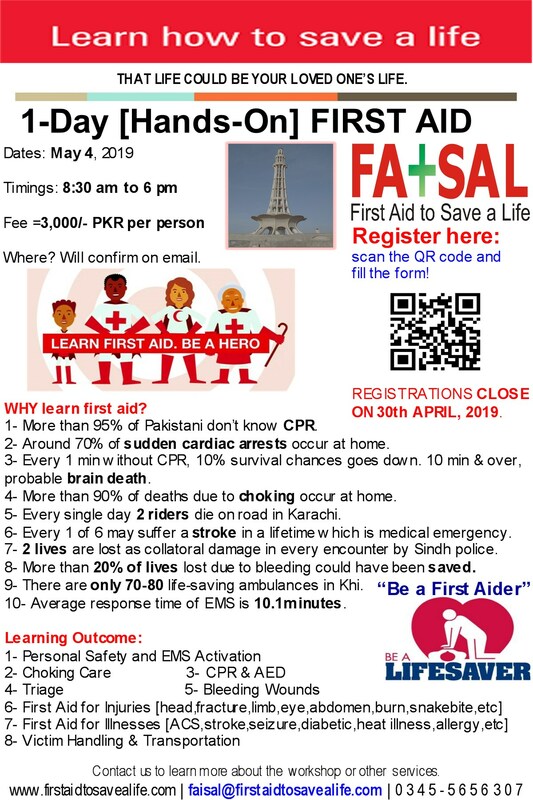 First Aid to Save a Life is the pioneer in offering international first aid certifications and does hold the honor in offering Train-the-Trainer (TTT) Certifications as well. We offer an internationally recognized and most valuable TTT certification by MEDIC First Aid International. So you don’t have to go abroad for this. We also offer local TTT certification issued by FATSAL Pakistan equally acceptable within the Pakistan.